Retro only makes sense if people remember what your brand was like in the old days. 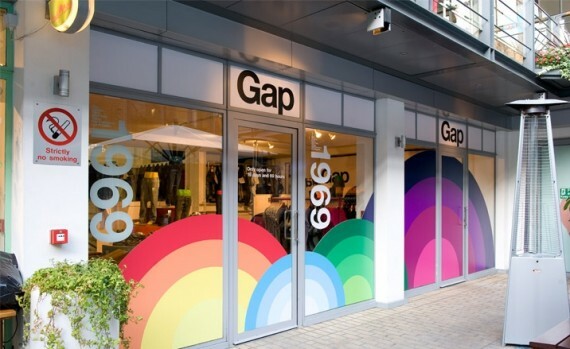 The logo police came out in forces last night as American clothing company Gap — Is it just Gap? I’m still calling it The Gap — unveiled a drastic new look that frankly did not jibe with the deskchair design critics around the world. Luckily designers have already expressed their extreme dislike of the logo in the only way designers know how: By creating their own versions. Over at ISO50, Alex Cornell is running a redesign contest with dozens of submissions already envisioning how a new Gap should look. He even predicts that Gap is about to “pull a Tropicana,” referring to the notorious yanking of Peter Arnell’s new Tropicana packaging after consumers said it made the O.J. look like a generic brand. 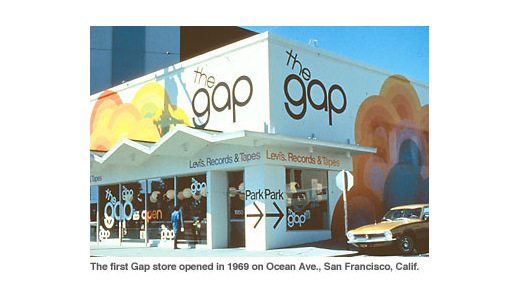 What most people probably don’t know — including those who are vilifying the new look — is that Gap has been around since 1969, when they sold “Levi’s, records and tapes” out of a storefront in San Francisco. Check out the clean, stylized type back then (which looks like a customized version of Avant Garde, which was designed in 1968). Now here’s whats interesting. The new logo (minus the square) already showed up last year at this 40th anniversary pop-up in London, which was modeled exclusively on that 1969 store. 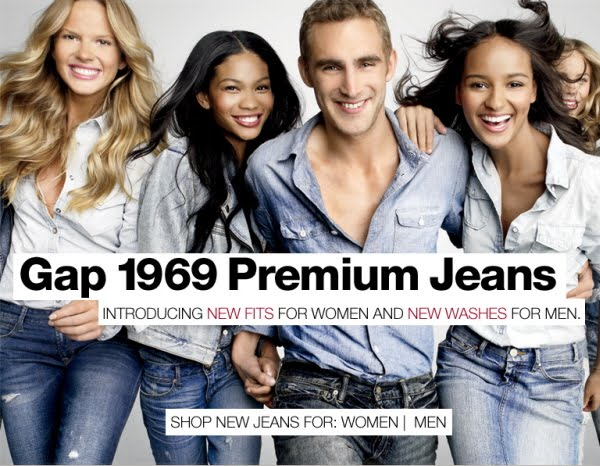 Gap’s attempt at throwback is a popular move for brands these days, but one that makes absolutely no sense to those who have lived with the serify blue square for so long. Without a more solid connection to that 1969 brand (maybe a more dramatic Avant Garde-looking type) the use of something as pedestrian as Helvetica just looks like they’re trying to nudge themselves into American Apparel hipness. And that square? Well, it’s almost as if they’re trying to push aside the brand that people have known for years, literally relegating it to an afterthought, a tiny blue symbol up in the corner that’s slowly fading away into irrelevance — like a pair of jeans slowly going out of style.